The cloud has truly revolutionized the approach of the tech sector when it comes to the coordinating of various corporate operations as well as the execution of basic tech functions. A variety of Cloud services have gradually gained prominence due to the patronage that they receive from both small and big establishments looking for ways to boost productivity. Despite the remarkable attention Cloud computing is getting, it is noteworthy that this amazing technological innovation hasn’t even conquered up to 50% of the market share with so many companies and organizations still yet to adopt the concept for their own tech operations. 2018, however, is bound to be a game changer in the cloud computing terrain with new developments that will thrust the technology further forward in the field set to take place. Perhaps, the most significant milestone that is expected in 2018 is surpassing the 50% threshold, which will finally cement the place of Cloud technology in the IT sphere. More innovative Cloud-centred tools are also expected to be released in 2018, as more tech companies continue to research ways Cloud technology can be incorporated into a variety of functions. Tools like Cloud Workspace are already being used on numerous online platforms like freelance websites. Vulpith, for instance, provides clients and freelancers with an enabling virtual environment thanks to Cloud Workspace, which makes the execution of assigned tasks much more fluid. Conventional job agencies can as well borrow a leaf from such freelance platforms and make use of Cloud tools to optimize the job hunting process. Though 2020 seems to be the year that has been projected for the big explosion of Cloud technology, 2018 will certainly play a pivotal part in taking Cloud computing to the epitome of success. The increase in the number of web-based companies that are using Cloud infrastructure to run their operations is quite impressive, and while there are still giant strides to the taken in terms of market share, the triumph of the Cloud platform is now just a matter of when and no longer if. The trends to look forward to in 2018 are enormous, but the few discussed here are the biggest of them all. The big players in Cloud computing namely Amazon, Google, and of course one of the tech pioneers, Microsoft, are bound to experience massive boosts in revenue that are directly related to their respective Cloud services. These 3 tech giants have succeeded in incorporating the technology into the core of the services they provide to millions of registered users. Not only are they the biggest tech companies in terms of innovative developments, but they are also among the most financially buoyant establishments in the corporate world. Amazon owns the biggest market share in the Cloud computing niche with its pioneering Cloud solution, Amazon Web Services, already raking in billions in revenue. The company already delivers its services to some of the biggest banks in the finance industry and isn’t losing its pole position anything soon. Both Microsoft and Google continue to lurk just behind the E-commerce service company, waiting for the opportunity to seize control of the cloud computing market. Google, which manages to incorporate Cloud computing into several of its own tools, is certain to remain a top player with its Cloud-centered services now catering to the needs of millions of people. Google Sheet, Google Drive, and Google Doc have indeed transformed the way in which corporate functions are carried out with an increase in speed and efficiency among many other benefits of the virtual office tools. The Cloud tools also facilitate effective collaboration between multiple working entities both in the corporate world and with freelance work. Microsoft has also been able to maximize the performance of its operating systems by making provisions for a Cloud framework that functions side by side with its core product. The company, which also provides Cloud services to several multinational corporations, is certain to be among the top earners in 2018. One of the obstacles to getting companies and businesses buy the cloud concept is that many are simply unwilling to abandon their trusted network and storage facility for a serverless solution that is basically not under their control. But the advent of Hybrid Cloud solutions has seen some corporate entities change their stance since the new development allows them to utilize Cloud tools along with their pre-existing computing facilities, which is mostly hardware but may also exist as software. 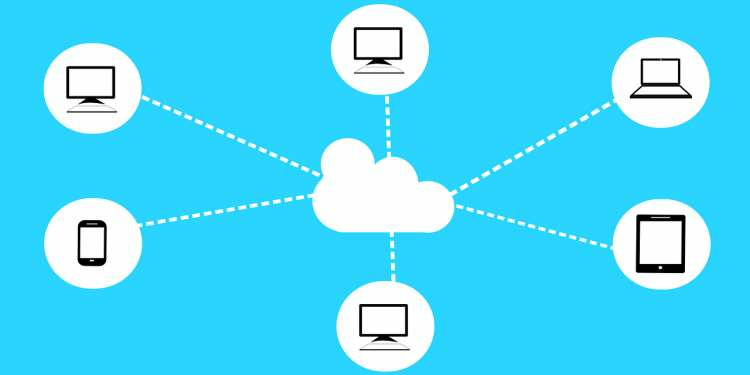 Hybrid Cloud technology also offers Cloud to Cloud connectivity, which is when two or more different cloud service providers deliver their services to one client. Most often though, it is only an option if the company seeking a Hybrid Cloud solution already has an on-premises facility set up and functional. The cost of Cloud services has been a stumbling block for most corporate entities who wish to embrace the innovative tech solution. Prices have, however, been on a steady decline with many cloud companies now offering Software as a Service (SaaS) model of Cloud computing at very affordable rates. 2018 is guaranteed to see an even bigger fall in prices, as an increase in demand is certain to convince cloud providers to further reduce their fees, as profits will not be affected. The Internet of Things has been the biggest beneficiary of Cloud technology with more gadgets going online and adapting latest internet features. With Cloud services also gaining more popularity, more tech innovations that infuse cyber elements into exquisite electronics and appliances will take center stage. Cloud technology isn’t just a passing train that will be obsolete as numerous other tech innovations. It is a foundation for the future of computing, and even if it does get replaced, it will form the framework of whatever brilliant creation will be released in future. 2018 is indeed the year where Cloud technology will establish itself as the conventional computing solution. Cloud technology continues to set the pace in the tech world with many more companies and firms adopting it to run their operations. 2018 is certain to be an even bigger year for Cloud computing, and here are the trends that are expected to be witnessed.